Sharjah: Shaikh Sultan Bin Ahmad Al Qasimi, chairman of the Higher Organising Committee for the International Wheelchair and Amputee Sports Federation (IWAS) World Games, carried out an inspection of the Thiqa Club, one of the main venues for the eighth edition of the major sporting event to be held from February 10-16. This is the second time that Sharjah has been awarded the right to host the IWAS World Games. The first time was in 2011 and at that time a record 546 athletes from 49 countries participated in seven disciplines. 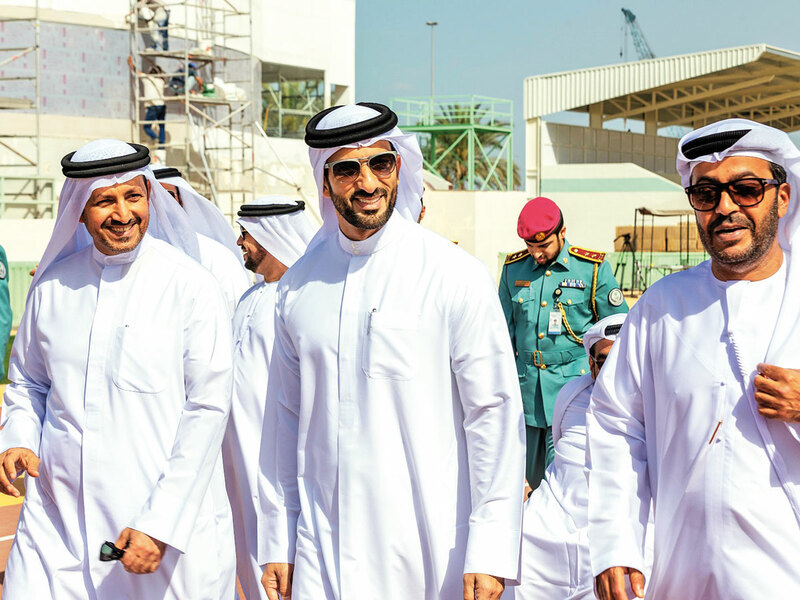 During Friday’s visit, Shaikh Sultan inspected the gymnasiums and training facilities, as well as sporting arenas scheduled to host IWAS 2019. Next month’s sports gathering will bring together athletes participating in eight different sports including archery, athletics, badminton, swimming, shooting, table tennis and wheelchair fencing. As per the regulations, participating athletes stand the opportunity of earning ranking points towards qualifying for the Tokyo 2020 Paralympic Games. Shaikh Sultan was accompanied by Dr Tariq Sultan Bin Khadem, vice-chairman of the Higher Organising Committee of IWAS 2019; Mohammad Hassan Khalaf, head of the Media Committee and several committee representatives along with officials from Sharjah Police.